The Public Relations Society of America’s Capital Region NY chapter welcomed new board members and officers at its January meeting, led by incoming president Michael Mullaney. Mullaney, manager of public relations and digital communications at St. Peters Health Partners, succeeds Heather Schechter, who will remain with the organization as past president and chair of the membership committee. Schechter is director of marketing at Sunrise Management & Consulting. Katherine McCarthy, senior regional director, communications, American Heart Association, rejoins the board and will serve as president-elect. PRSA Capital Region NY is a group of approximately 100 public relations and communications professionals who represent associations, corporations, government agencies, higher education and healthcare institutions, as well as non-profits, public relations firms and small businesses. For more information, visit http://prsacapitalregion.org. 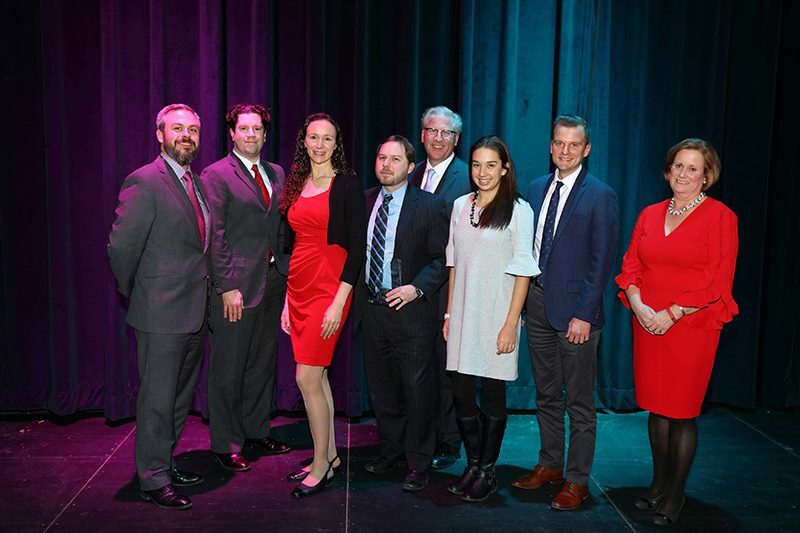 Board members pictured above at 2018 Capital Region MARCOM Awards, from left to right: Josh Poupore, Michael Mullaney, Heather Schechter, Michael Bohne, Paul Larrabee, Kimmy Venter, John Mackowiak, and Katherine McCarthy.